In 1894, a boy of 18 years leaves Srinagar on a Tonga, travels for 12 days to reach Rawalpindi to appear in tenth standard examinations of the Punjab University. In results, he was the only successful candidate from Kashmir. The news about first Kashmiri matriculate spread far and wide. He was Aga Sayyid Hussain. A year later in 1895 Ved Lal Zutshi became the second matriculate. In subsequent years, Aga left a mark in Kashmir’s history. Muhammad Din Fauq (1877-1945), in his Tareeq-e-Aqwaam-i-Kashmir mentions Aga as Kashmir’s English speaking Muslim. Aga learned English with the encouragement of his maternal grandfather, Agha (Hakim) Muhammad Baqir Qizilbash, a scholar of Turkish – Afghan descent, who was Maharaja Ranbir Singh’s Chief Physician from 1872 to1884. Born in August 1876, at Khanqah-e-Sokhta, Nawa Kadal, to Sayyid Ali Rizvi, Aga belongs to Aaqa Sayyid Hussain Qomi Razavi, who had migrated from Qom, Iran in 1418. His shrine is located at Sayyidapore, in Sopore’s Zainageer belt. Sayyid Ali was a trader and a Karkhanadar –who had shifted to Kashghar, where he died. So Aga was brought up under the guidance of his maternal grandfather, Baqir Qizilbash – whose family had come from Kandahar. When the Qizilbashs’ migrated to Kashmir from Kandahar, they built a three floor 14-Taaq stately house overlooking the Jhelum. It vanished in history like dust. Influential soldiers back home, the family in Kashmir created two Hakeem’s, practitioners of Unani system of medicine: Agha Muhammad Baqir and Agha Muhammad Taqi. In 1872, Maharaja Ranbir Singh was sailing down to Mansbal in his Parindah, a long boat being managed by 24 rowers that he felt terrible stomach pain near Nawa Kadal. The boat came to a grinding halt and his attendants cried for help. Nobody including the court physicians could tackle an unconscious Maharaja. Agha Baqir is said to have treated him with quick relief. Subsequently, he became a physician of the state and was granted the privilege of access to the Durbar. This marked the beginning of their re-rise, this time in Kashmir’s aristocracy. Historian GMD Sufi has mentioned Baqir curing a patient suffering from paralysis by applying living wasps, a method that was successfully replicated in September 1927 in London’s County Mental Hospital, Horton. Baqir played an instrumental role in establishing Shifa – Khanas across the state which later became 27 small hospitals. Later, a full-fledged ministry Wizarat i Tib was established with Baqir as Naib-i-Wazir. He got the title of Afsar-ul-Tibba by the Maharaja, Sanads and Jagirs of 1000 Kanals in villages of Islamabad Budgam and Srinagar. Gund Baqir in Sopore is still known by his name. Besides, he headed Maharaja’s translation bureau Daarul Tarjumah where books related to medicine were translated from Arabic and Latin into Persian and Dogri. Baqir was succeeded by his only son Agha Ali Naqi who took over as Royal Physician to Maharaja Pratap Singh in 1885. Known to the court and history as Ali Naqi, the celebrated physician was close to the ruler. He also got many Jagirs including Ismwar Jagirs (retained for the lifetime) and Hak-i-asami Jagirs (permanent hereditary) of 500 kanals in Mujgund and 120 kanals at Nawab-Bagh Baghbanpora, Srinagar with Royal Pattas, title deeds with Royal Seals which are still retained by the family. His sons Agha Mirza and Agha Sher Ali went back to soldiery and became Thanadaars. It was Ali Naqi who adopted Aga Sayyid Hussain. After his matriculation news spread, Agha Ashraf Ali and Begum Zafar Ali write in her autobiography, Maharaja summoned his Physician and the boy was felicitated. He was appointed as Naib-e-Tehsildar and given under charge of Sir Walter Lawrence in 1895 on a monthly salary of Rs 50. Later, he entered Regal State Services and become a Tehsildar in 1899. As Settlement Officer, he executed the First Settlement of Ladakh in1901. A year later, he was deputed to Baltistan to rectify the mistakes in the settlement. It was the era that Kashmiris started settling in Skardu. In 1903 as plague hit Kashmir, Agha was deputed on special plague duty. 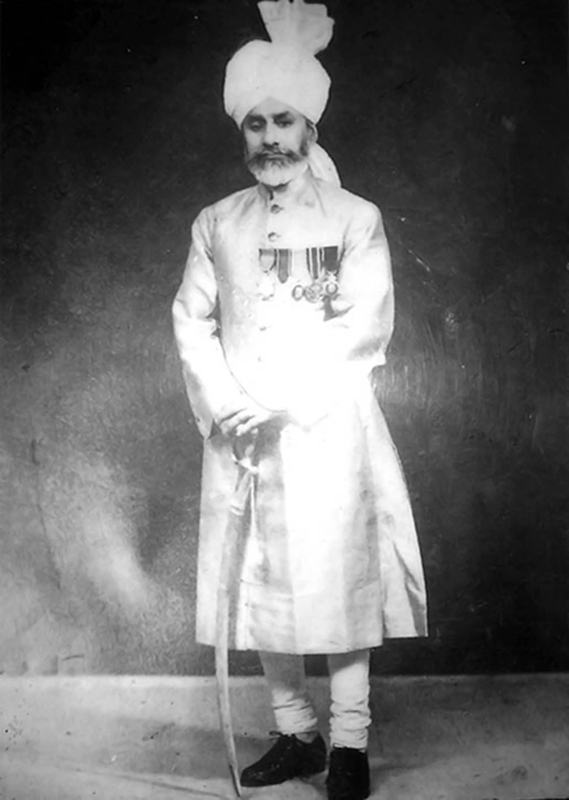 Though he lost his son to the plague, he did his job well, for which he got the title Kanwar For two years from 1908, he was Assistant Governor for Gulmarg. His “remarkably impressive” hand-writing, according to Agha Ashraf Ali says, got Maharaja issue a Distinguished Service Order of the State that Pratap Singh later confirmed Wazir-e-Wazarat, a position he held between 1909-1923. He was Assistant Settlement Commissioner from 1924-1925, got a Jagir of 600 Kanals in Shilwat and elevated to governor of Kashmir in 1926, a position he held till 1927. Aga was first Muslim law member who was appointed to First High Court of Jammu and Kashmir in 1928. Two non-Muslim members were Lala Kanwar Sein and Bodh Raj Sawhney. A year later, Hari Singh appointed him as the Home and Judicial Minister. Governor General of British India, Lord Irwin conferred upon him with the title of Khan Bahadur (KB). Between 1929 and 1932, he led the Education Ministry too. He has resisted the dictates of arresting students in wake of Gandhi’s Dandi March. Later, Sheikh Abdullah met Maharaja’s only Kashmiri Muslim Minister and complained about a Hindu being appointed as a lecturer forcing him to teach as a Master in Islamia School. But, Aga expressed his helplessness and told him that his position was that of a “Gramophone”. Aga retired in 1931, on the eve of the start of Kashmir tehreek. Apart from being bestowed with the Robes of Honour and the title of Thakkur, his despot employer granted him the villages of Kachnambal, Khanam, Barnabug, Wangat, and Drugtengu as Haq-i-Asami and Haq-i-Milkiyat by a Royal decree, Order No 1 of November 8, 1931. Post-retirement, he was nominated to Prajha Sabha, Maharaja’s assembly in 1934. Then known as Khan Bahadur Aga Sayyid Hussain Thakkur, he passed away at his Model Town, Lahore residence on November 25, 1944. As per his will, his body was brought to Srinagar and buried at Gulistan-i-Baba Mazaar in Zadibal. As destiny will have it, his daughter Sayyida Fatima, known as Begum Zafar Ali, became the first woman matriculate of Kashmir in 1930. He had two sons Aga Sayyid Mehmud and Aga Sayyid Ahmad. Mehmud was appointed as the Council Secretary to Maharaja Hari Singh but could not continue because of vision impairment. It was Mehmud’s son Sayyid Muzaffar Aga, IAS, who became India’s Ambassador to South Korea (1976-1978) and later Chief Secretary of J&K (1978-1980). His brother Sayyid Afzal Aga, ICS, C.S.P, became Chief Secretary of Punjab, Pakistan (1969-1974) and Sayyid Jalal Aga of Lal Mandi was their third brother. 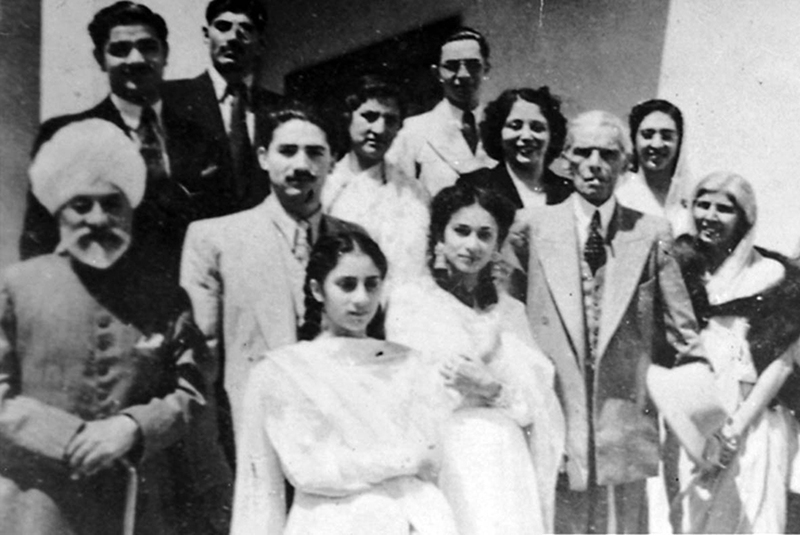 Mehmud’s daughter was married to Anwar Sayeed of the Pakistan Navy in 1950. Interestingly, the nikah ceremony took place in the narrow stretch between the two gates of the Radcliffe line. Aga’s younger son, Aga Sayyid Ahmed, retired as J&K Home Secretary and was later sent to Lok Sabha (1967-1977). But most famous of his children was Begum Zafar Ali. The 1900 born lady was brought up in an aristocratic but conservative Islamic setting. A British Home Governess would teach her. She later married her cousin Agha Zafar Ali and they had three children. In 1925, she joined as a teacher at the Girls School run by Ms Mallinson and Ms Bose in Fateh Kadal. She helped the school management to get court grants through her father. She passed matriculation in 1930 and with Maharaja’s encouragement she was enrolled in Lady Mclegon College, Lahore where she graduated in Domestic Science and liberal arts. 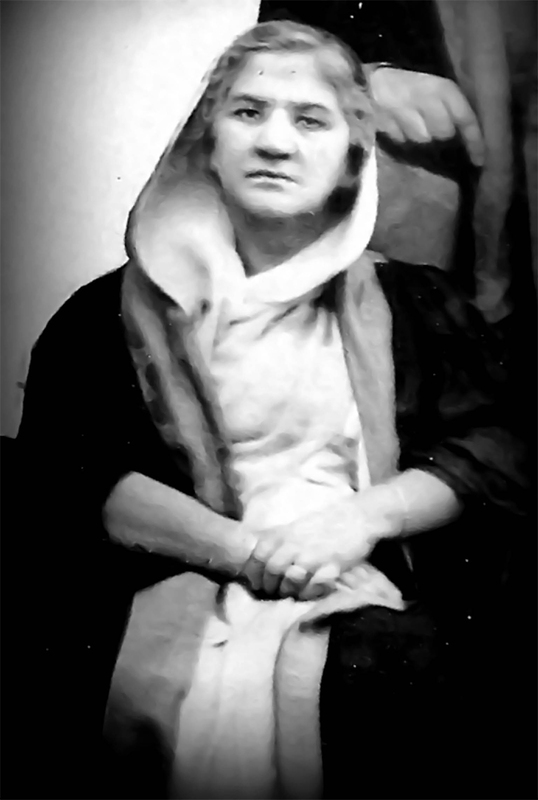 Later she joined the state government as teacher and eventually became the Inspector of Schools in Kashmir. Begum had famously hosted MA Jinnah and his sister Fatima Jinnah in Srinagar in 1944. She later accompanied the two to Mirwaiz Manzil at Rajouri Kadal where she along with Fatima Jinnah addressed a gathering of women. Begum retired in 1960, was nominated to assembly in 1977. In 1987, she was awarded Padma Shri, an award which her family says she later announced to return. She passed away in 1999 at the residence of her son Agha Shaukat Ali in the USA. Begum was survived by her three sons: Agha Nasir Ali IAS, (1918-2014) who retired as Labour Secretary of India in 1977; noted educationist Agha Ashraf Ali and Agha Shaukat Ali. Though a tehsildar of Maharaja era, he resigned and joined Muslim Conference. He was jailed and his release was brokered by the United Nations in 1947. He moved to Pakistan and became Information Secretary to President Ayub Khan. Begum and Bakhshi Ghulam Mohammad had a serious battle over the latter not permitting her son to see his mother. 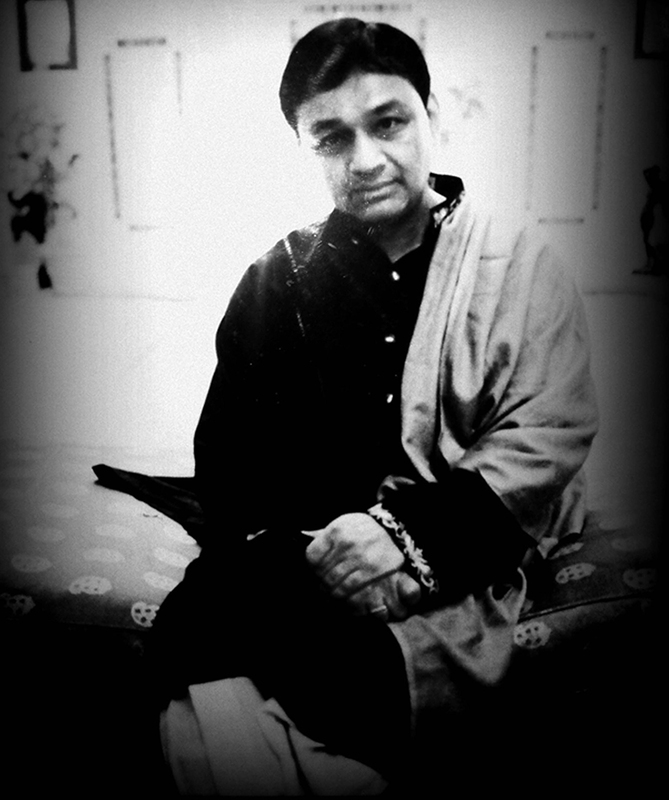 Agha Shahid Ali, Kashmir’s English poet, made famous by expressing pain and despair of his home, was her grandson. He summed up all in his poem Cracked Portraits. I look for prayers in his eyes, for inscriptions in Arabic. He’s left us plots in the family graveyard . . .
No one comes from Kandahar dear Ali . . .